1- Khartoum – Jackson Point. 2- Omdurman – Martyrs Point. 3- Bahri – the Middle station. 4- Wad Madani – the Grand Market – Bust Station. 5- Al Gadarif – Near the Train Station Mosque. 6- Port Sudan – near Al Masjid Al Kabeer. 7- Al Abyadh – the Souq – near Al Amjaad Station. 8- Nayala – Public Souq Station. The audience reacted with Tahleel and Takbeer, because the call expresses their desires and aspirations for a decent life under the laws of their Lord and the guidance of their Prophet ﷺ. The call revealed the miserable state the Ummah is living, after the destruction of the Khilafah (Caliphate) on 28 Rajab 1342 AH, and that with the absence of the Khilafah, the Ummah has weakened, and has become despicable to its enemy after the Khilafah was the protective shield, and the guarding wall of the Muslim Ummah, and how the absence of the Khilafah led to the dismemberment of the Ummah, looting its resources, and became impoverished by its colonial infidel enemy served by the agent rulers of the Muslims, who are subject to international institutions. The call also outlined that the decline, poverty, and life of hardship, misery and frustration, which the Ummah is living, will not stop, and that nothing will bring hope in a life filled with ascendancy, prosperity, obedience, pride and dignity except turning the table on the enemy by once again restoring the – Khilafah Rashidah (rightly guided Caliphate) on the method of the Prophethood. 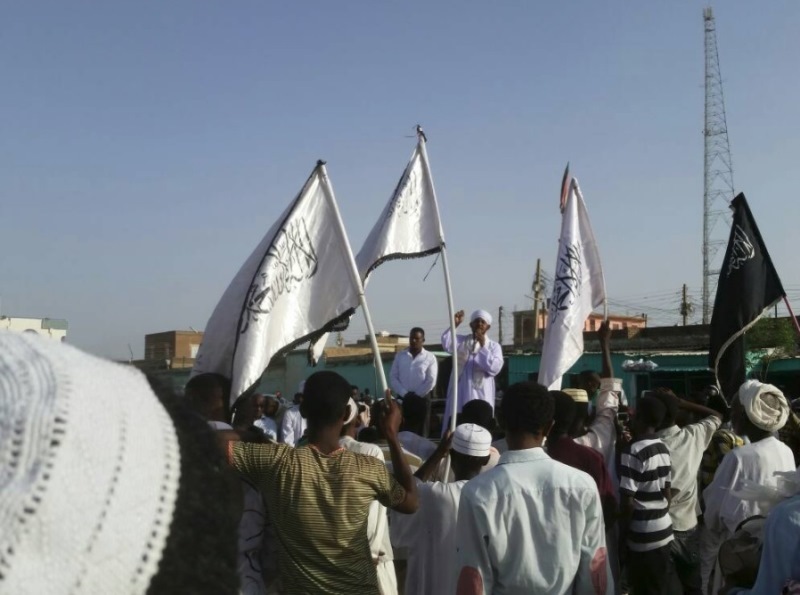 At the end of the call, Hizb ut Tahrir / Wilayah of Sudan, called upon the Muslims to work with it to establish the Khilafah, the obligation of our Lord, the glad tidings of our Prophet ﷺ, and the cause of our honor. Calling for seriousness as this is not a time for leisure and rest.